Please join us May 12, 2018 at 11:00 AM in the Coronado Library Winn Room to hear Karin Winner, former editor of the San Diego Union-Tribune, discuss “Fake News” and its effect on our current political and social worlds. For 16 years Karin Winner served as Vice President/ News & Editor of the San Diego Union-Tribune (which won two Pulitzer Prizes under her leadership). 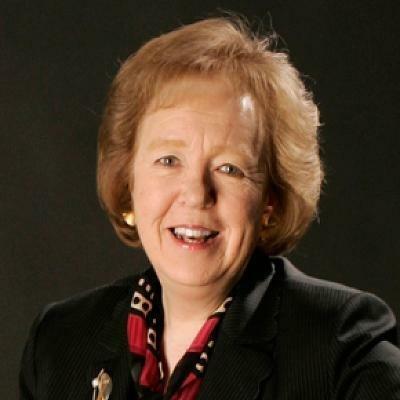 She retired in 2010 after 33 years with the U-T.
Today, she chairs the board of inewsource, a nonprofit investigative journalism organization that partners with KPBS, San Diego’s public broadcasting station, and serves on the boards of The Old Globe Theater, San Diego State University’s Campanile Foundation, the KPBS advisory council and the Chancellor’s Community Advisory board at UCSD. She is a member of the Downtown Rotary Club 33, The Wednesday Club, Women Give and the International Women’s Forum. A graduate of The Bishop’s School and the University of Southern California (BA, Journalism), Karin was the recipient of the Ellen Browning Scripps Distinguished Alumna from The Bishop’s School; San Diego Regional Chamber of Commerce’s “The Courageous Leadership” award; the outstanding alum award of the USC School of Journalism and a Girl Scouts’ “Cool Women” honoree. Coffee and snacks served starting at 10:30 AM. Please join us March 10, 2018 for our annual luncheon at the Coronado Municipal Golf Course Dining facility. Doors will open at 11:30 and lunch will be served at noon. 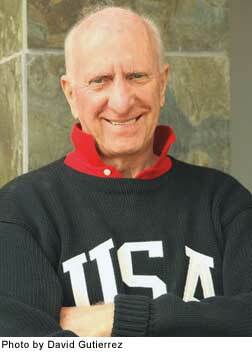 Our speaker will be Mr. Michael Smolens of the San Diego Union Tribune. Mr. Smolens, after a few opening remarks, would like to conduct an inter-active question and answer forum so that he can specifically address your concerns about a range of issues. So, although as Democrats we are somewhat shy, reticent, and unwilling to ask hard, probing questions, let’s surprise Mr. Smolens with the fact that in Coronado, inquiring minds want to know. Michael Smolens is a columnist for the Union-Tribune with a long history of political coverage. He was government and politics editor at the U-T from 1992 until late 2017. During that time, he has overseen local, state and national political news. 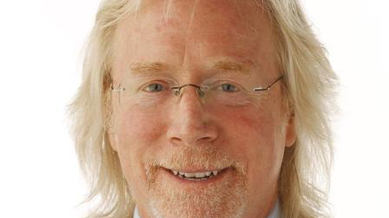 As a reporter, he covered politics at all levels, including San Diego City Hall, and did a four-year stint in the news organization’s Sacramento bureau in the late 1980’s. A native of Wellesley, Mass., Smolens graduated from the University of Massachusetts/Amherst, where he majored in English and journalism. Smolens also attended Elmira College in New York and was a goalie on the school’s hockey team. Declining reflexes persuaded him not to seek a career in the NHL. You can purchase your tickets online here. Or if you prefer to pay by Check you can click here to download the reservation form. Patti (and friend) at last year’s Parade. Yes, it’s time to mark your calendar to join your club in Coronado’s Fourth of July parade. We will supply the decorations. All you’ll need to do is RSVP (see below) and then pick up the festive decorations during the week before the parade at 442 I Ave, Coronado. We are assigned number 90 in the parade. We will supply the decorations for bikes, cars, and walkers. Pick up decorations beginning Tuesday, June 27 from Patti’s porch at 442 I Ave, Coronado. Return the decorations to Patti after the parade or return them to her home no later than July 7th. On parade day we encourage everyone to wear any past Democratic Club tee shirt you may have whether you are in the parade or a spectator. So get out those old shirts and get them ready for the big day. Remember to use plenty of sunscreen and wear a hat. We’ll have bagels and water. We can’t wait to celebrate with you in the parade on the 4th! ANNUAL LUNCHEON MARCH 25, 2017 11:30 A.M.
Our annual luncheon will be held on Saturday, March 25 at the Coronado Municipal Golf Course Restaurant. This year, our featured luncheon speaker will be George Mitrovich, founder and president of the City Club of San Diego, a non-partisan public forum. Born and raised in San Diego, Mr. Mitrovich served as administrative assistant to Lt. Gov Glenn Anderson of California; later, he served as a press aide to Senator Robert F. Kennedy during his presidential campaign. Subsequently, he served as press secretary to U.S. Senator Charles E. Goodell, Republican of New York, and Senator Harold E. Hughes, Democrat of Iowa. In addition, he worked for two members of the House of Representatives. Also invited to attend (subject to availability) are our elected representatives: State Senator Toni Atkins, Assemblyman Todd Gloria and Congressman Scott Peters. Be sure to make your reservation in advance so that everyone who wants to attend may be accommodated. Download an invitation form here or pay for Annual Luncheon online. 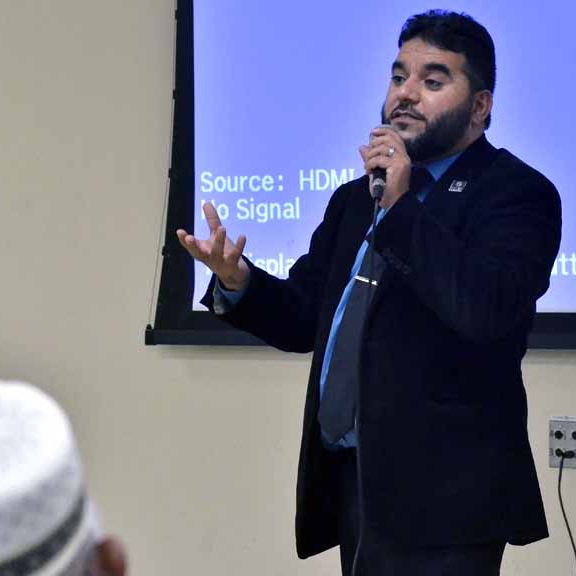 Hanif Mohebi, executive director of the San Diego office of the Council on American-Islamic Relations. As we enter the era of a Trump presidency, it’s time to consider which of his campaign promises he actually plans to carry out, and to think of those individual groups who are likely to be affected by the policies proposed by his new administration. It is in that spirit we have chosen the topics and speakers for our upcoming meetings. Our first meeting of 2017 will be held on Saturday, January 14, in the Winn Room of the Coronado Public Library. Refreshments will be served beginning at 10:30 AM, with our Club business to begin at 11:00 AM. The program on January 14 will feature as our speaker/discussion leader Hanif Mohebi, Executive Director of the Council on American-Islamic Relations, San Diego Chapter. He will lead a discussion of topics of interest to members of our Club; therefore, I ask our Club members to email me at franking48@gmail.com with the issues they would like Mr. Mohebi to address. I’ll pass the most-frequently mentioned ones to him, so that they may be included in his prepared remarks, which will be followed by a discussion. Please be sure to contact me with your questions and comments. We are entering new and unfamiliar political territory in 2017; our Club hopes to make it a little easier to navigate, so don’t miss this interesting and important meeting! I hope everyone had a happy holiday season! On Saturday, September 17th, members of the Coronado Democratic Club, assisted by some friends from the campaigns of Toni Atkins and Scott Peters, participated in the 32nd Annual California Coastal Clean Up Day at the Coronado Beach. 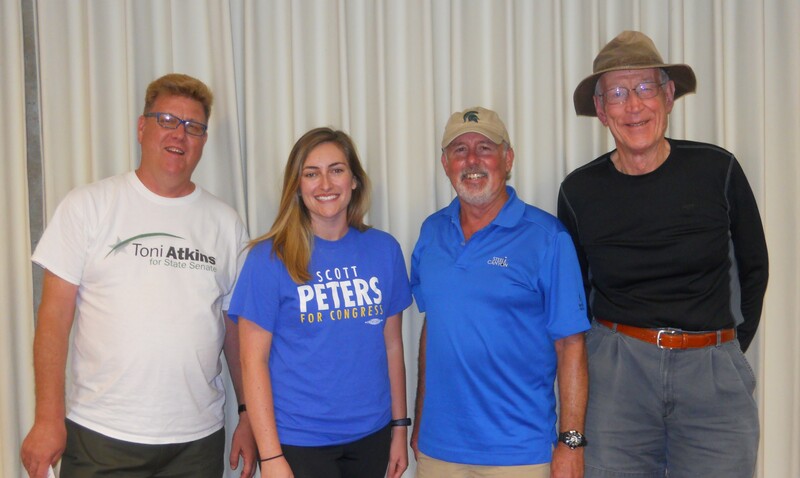 Shown in the photo are Doug Case, Erin McGee, Tom Bernitt, and Irish Flynn. Enter your email address to follow Coronado Dems and receive notifications of new posts by email. Our content is licensed under a Creative Commons Attribution-ShareAlike 4.0 International License.